8 Ways to Keep Kids Entertained in Restaurants! - Activity Packs, Children Activity Packs & Kids Colouring Packs - Packme Ltd.
8 Ways to Keep Kids Entertained in Restaurants! A super fun and affordable way to entertain younger diners. These can also be used as placemats to keep your tables clean! Buy online or brand your very own. For obvious reasons, this is our favourite way to entertain kids! Children’s packs prove the ideal method of occupying children and the possibilities are endless. 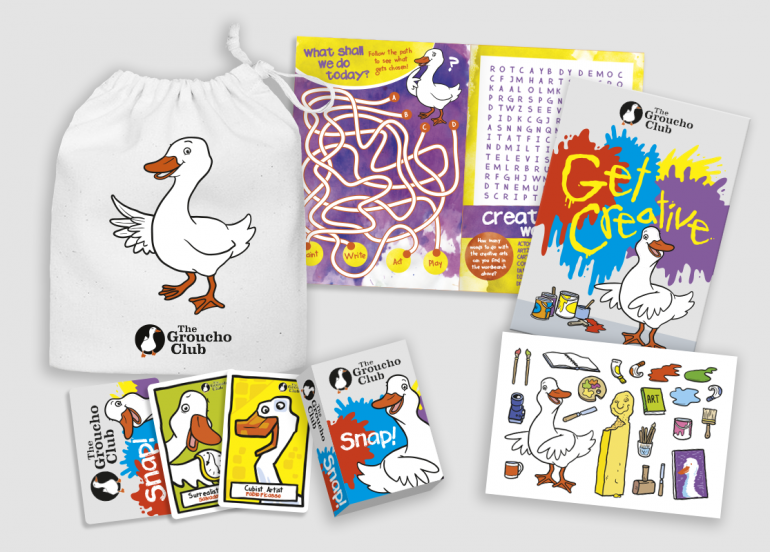 Shop 'Off the Shelf' online or create your very own bespoke activity pack. 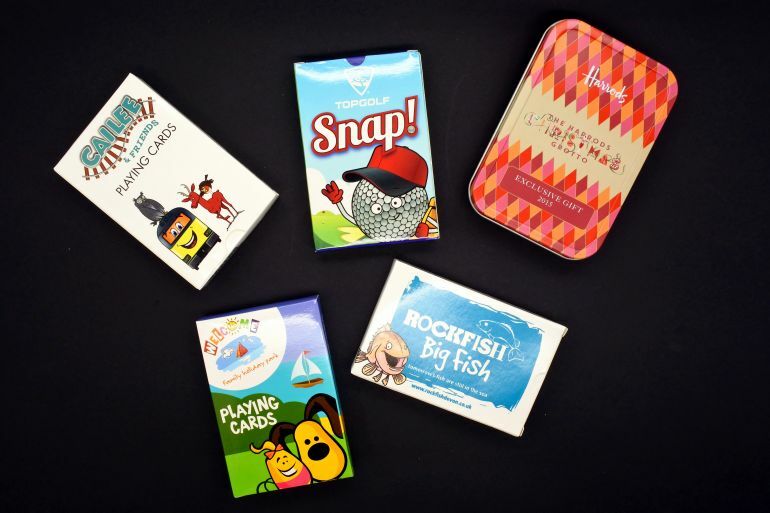 Read all about our activity packs here. Waiting for your food to arrive can be daunting, pass the time with this fun game! Step 4) Tell them to open their eyes - and figure out which item is missing! Dominoes are a fun and tidy way to entertain the kiddies at restaurants, and everyone can play. Talk to us about branded dominoes. A classic game to pass the time. Mix it up a bit and add prizes – an extra desert perhaps? Some restaurants, like Rainforest Café, include a pack of cards within their activity pack, this can be enjoyable for the whole family. Lot’s of family orientated restaurants have small play areas and stations for their young guests. We create the colour me in wall unit with play areas in mind. You can read all about it here. Another favourite of ours! Selfie frames are a fun and clever way to boost engagement online. We can brand your very own selfie frames that the kids can takeaway with them, a great way to get your social media booming! Children love collection mementos and trinkets on their days out. 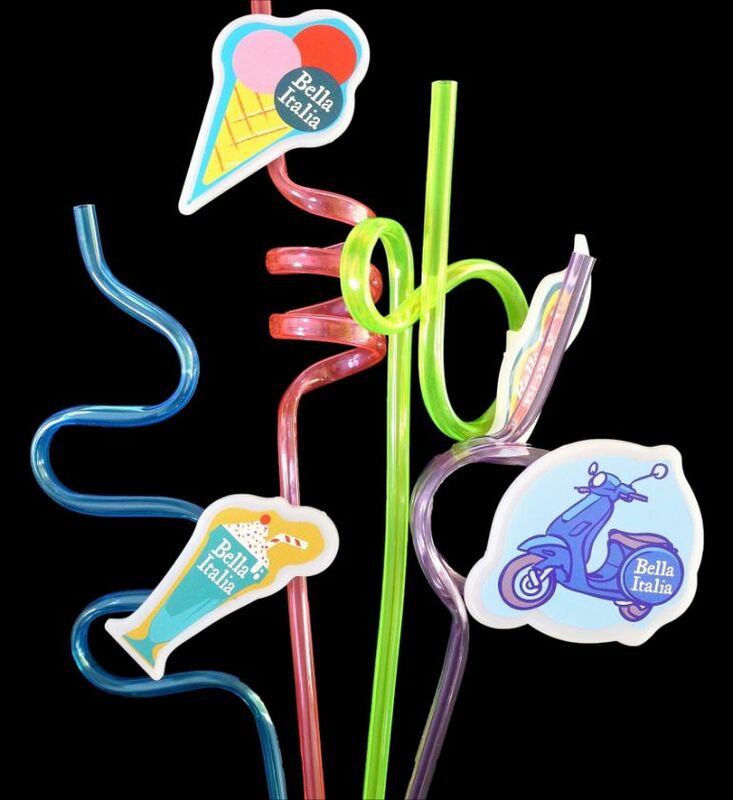 Bella Italia incorporate collectable clip-ons on their curly straws for the kids to collect each time they visit. This is a great way to encourage repeat business. Get in touch with us today if you’d like more inspiration or information, we are more than happy to help.